I play guitar in a band that started as a 90’s cover band, although lately we’ve been working on more original material. The site is in progress; I have finished the design and should have the coding done very soon. 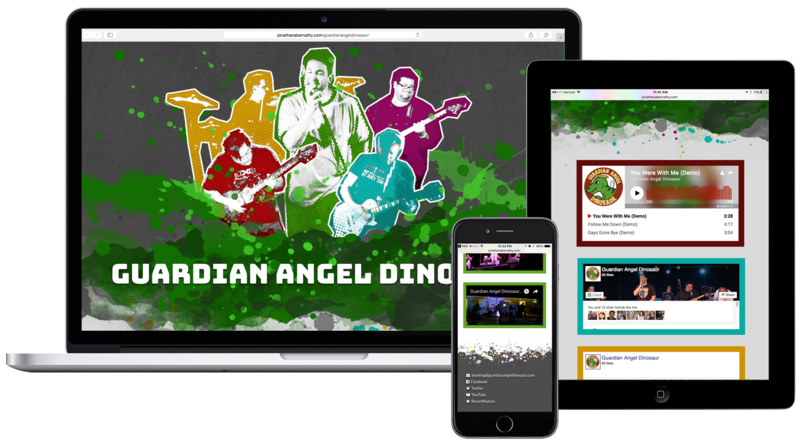 This site is responsive and employs Facebook, ReverbNation, and YouTube embeds to connect visitors to our social media presences. As there are several embeds and some CSS/jQuery animation, I have programmed it to employ lazy loading functionality so that the content doesn’t load until it comes into view (this keeps the animations running smoothly, as the site isn’t trying to load everything all at once). Our drummer is a developer, so once I have things as developed as I can, I will hand it off to him for the next steps.